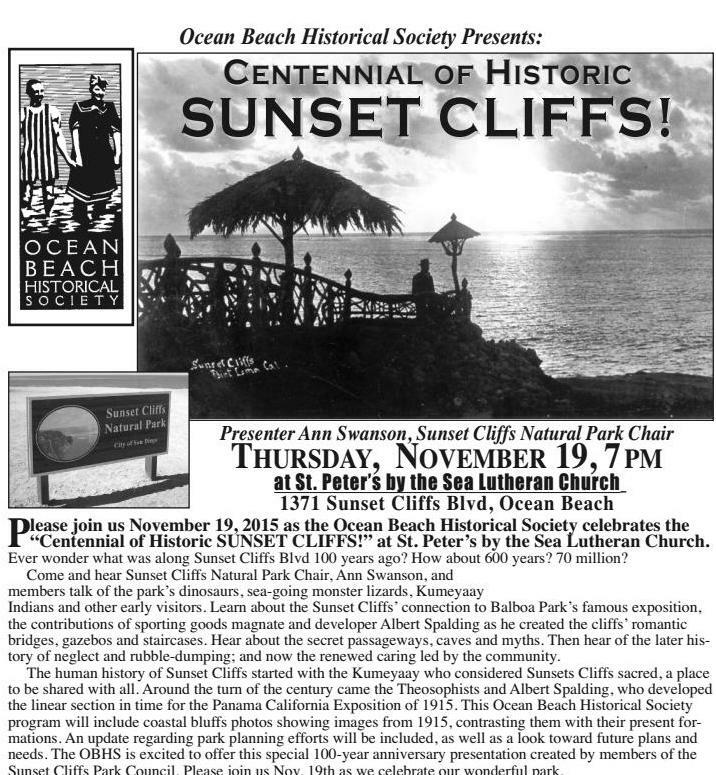 Join the OB Historical Society in a celebration of the “Centennial of Historic Sunset Cliffs” with presenter Ann Swanson, chair of the Sunset Cliffs Natural Park – all at St. Peter’s by the Sea at 1371 Sunset Cliffs Blvd., on Thursday, November 19th, at 7pm. 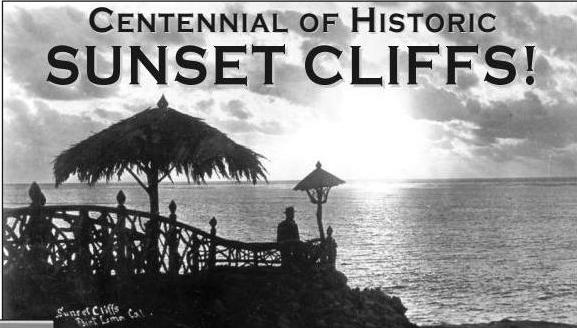 These cliffs have a lot of history – from the Kumeyaay who considered them sacred – to the Theosophists and Albert Spalding, who developed sections of the cliffs. Great turn-out to this event; at least 200 people squeezed into St Peter’s last night. Saw a lot of faces there that I haven’t seen for awhile. More interesting parts were the Spalding efforts. Dede was a good presenter. Second half very uninteresting as the audience was simply read to off of the power-point that had the same text.